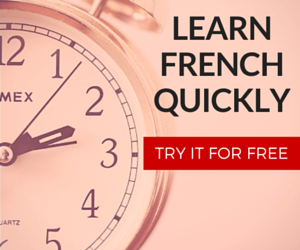 Do you want to learn French at the university level? Are you able to study in the United States? Then, the French Program at Penn State is one of the best choices you can make. I’m going to dive into a few GREAT reasons why you should consider the French and Francophone Studies program offered at The Pennsylvania State University. More specifically at the main campus in State College, Pennsylvania, because that’s where I attended. 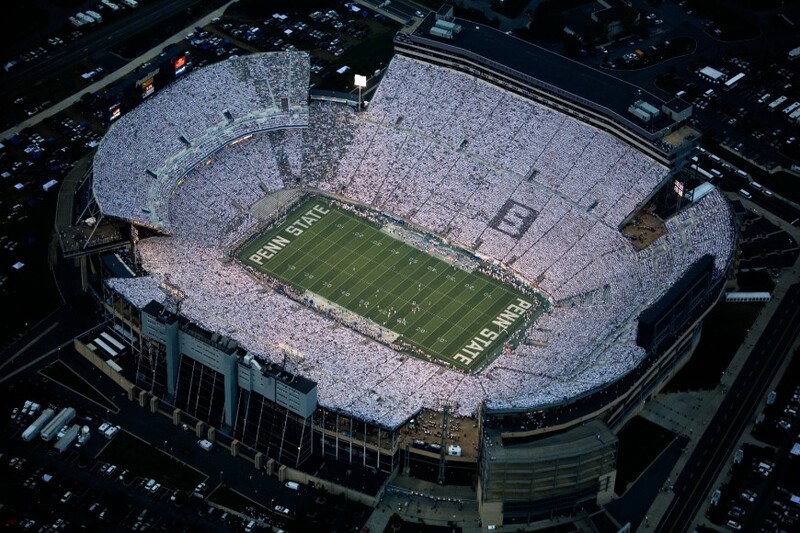 The two pictures above are from Penn State’s Official Flikr account, with a copyright 2.0 attribution. Just a little background: I took 5 years of French in High School and then went to Penn State between 2010 and 2014. I now have two 4-year degrees: one in Neuroscience and one in French with a minor in Linguistics. My study abroad experience and stellar grades helped land me a spot in a great graduate school to learn medicine. At Penn State, the French courses were designed to push your French language skills, encourage discussion, and teach you about French culture. The assignments ranged from group work as well as solo-projects to help change the classroom dynamic. A keep in mind, French was my second major… nobody was forcing me to take these classes. And yet, I looked forward to placing fitting French into my schedule each semester. My French skills were challenged by writing research papers, reading classic literature, and presenting topics in front of the class. I honestly felt like my French skills improved a lot. But behind every great course is a great professor. And you can’t have a good French program without having stellar French professors. The faculty at Penn State had a broad spectrum of expertise and they always seemed to go above and beyond. I loved that they were always available to offer help, support, and advice. On multiple occasions they would go out of their way for students and had a nice open door policy. For example, some of my professors would willingly spend 2 hours at a café to chat about life and offer guidance. 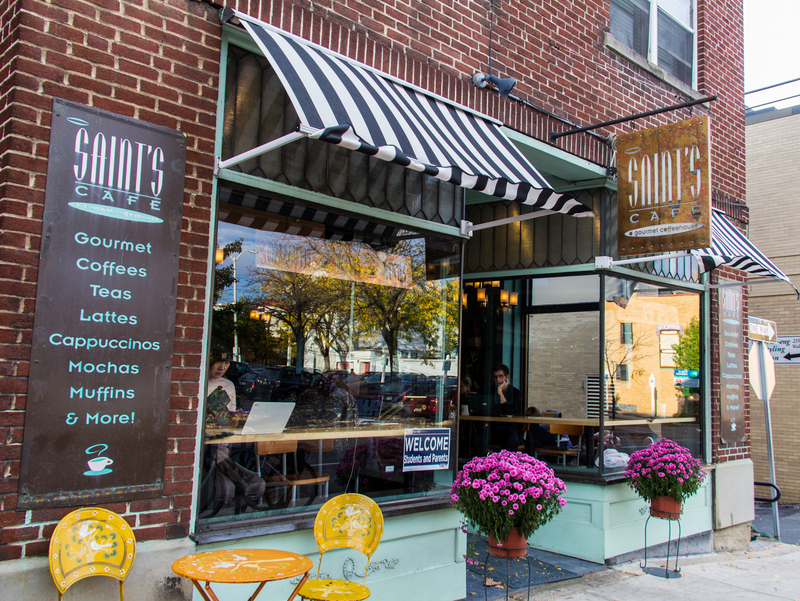 There was a quaint little French café called Saint’s which was our favorite spot! The faculty also selected great grad students and associate professors. Sandra Rousseau, Fabrice Picon, Andrew Stanford, Dennis Rodrigez, and the lovely Solange Garnier-Fox (to name a few)! Many of them have moved on to bigger and better things, but it’s because they do an awesome job at PSU. So it goes without saying, the faculty for the Penn State French program rock. Another reason I recommend studying French at Penn State has to do with the university itself. 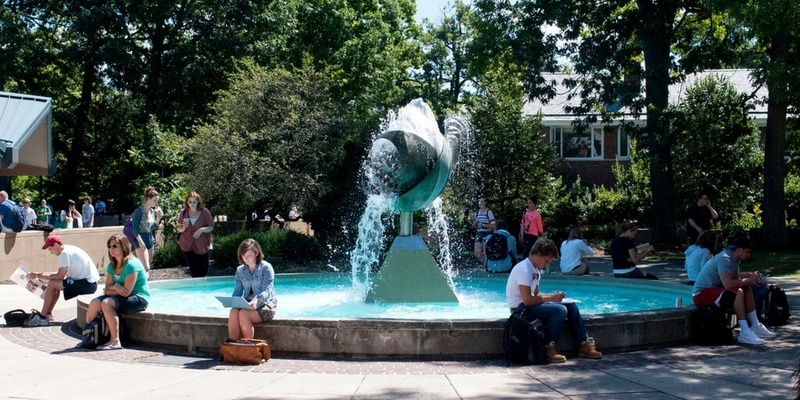 Penn State’s Main Campus (University Park) has a vibrant student body and top-notch facilities. I cannot stress that enough. The campus is HUGE. It’s the size of a small-city, honestly. With over 160 buildings and more than 46,000 students. Penn State UPark has its own post code, mail service, police force (Penn State Police), ambulance service, and various other services. The university’s football stadium alone can hold 108,000 people. Despite having such a large campus, your French classes are mostly small unless you plan on taking general education science courses (which feature large 300-600 person lectures). Not to mention, the student body was great. Overall, it’s very easy to meet people and make friends. There are hundreds of student groups as well as tons of campus activities. You’ll notice the school pride runs deep too. 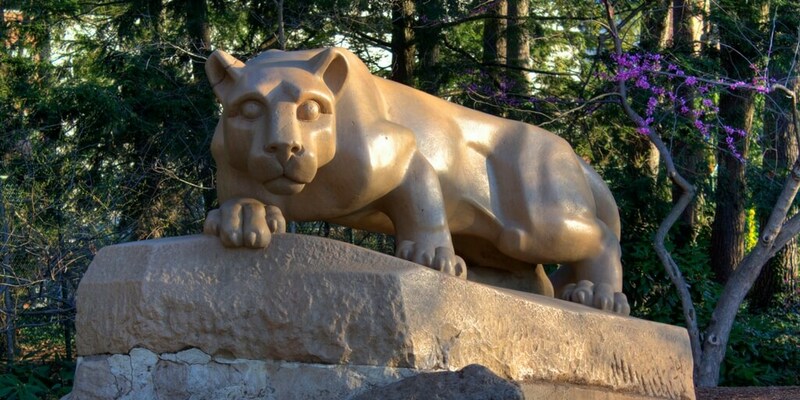 Everybody on campus wears Penn State gear and students enjoy both the large sporting events as well as the academics. If you’re an outsider, you may find it strange that Penn Staters are SO passionate about their university. 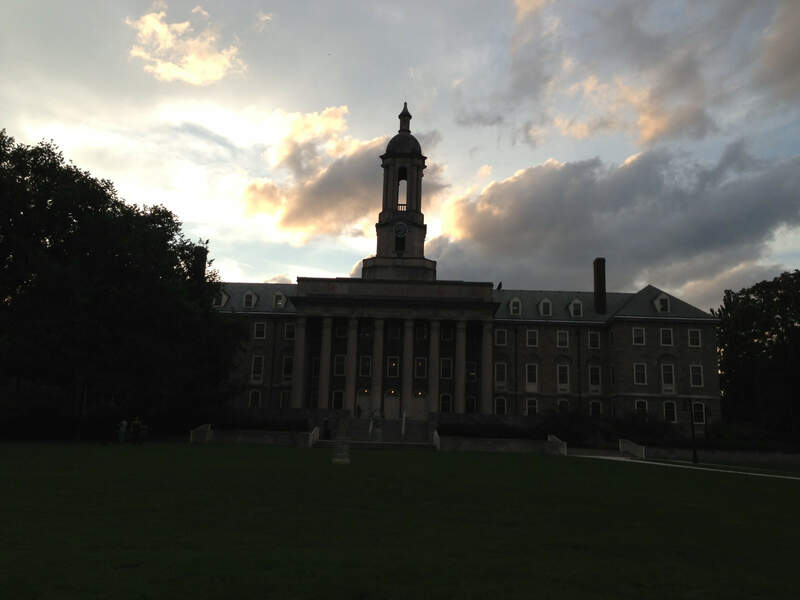 But once you become a Penn Stater – it’s strange to not love everything about Penn State. People really love their university and I’m one of those people. Enjoy meeting like-minded people who love French? Penn State has a French Club, a group of students who meet almost every week to chat in French. Besides the weekly events, there are socials and other fun gatherings. 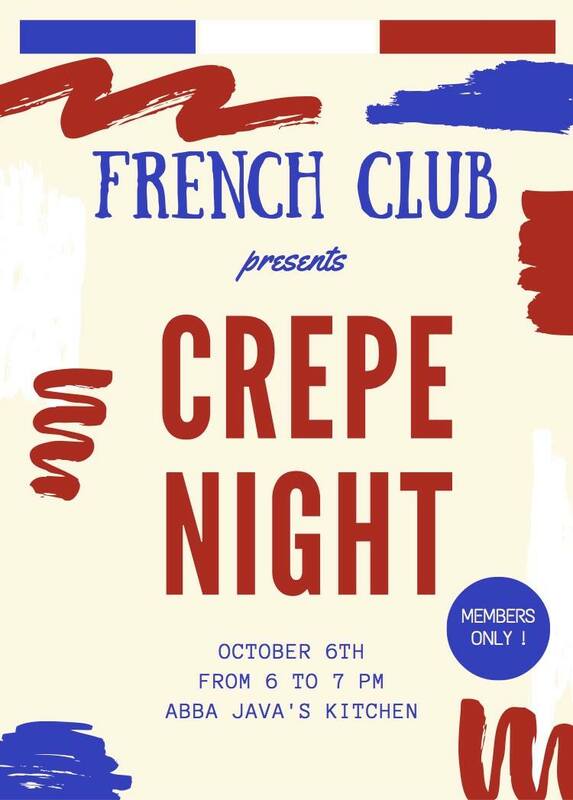 While I didn’t take full advantage of the Penn State French club during my time as an undergrad, I still wound up meeting a lot of great people! You get to meet those from France and the Francophonie as well as other Americans who love France and its culture. There’s also a good amount of attendance. The Facebook page now has about 400 members. Meetings are about 20-50 people depending on what’s going on. While studying abroad isn’t required to graduate from the program – the faculty encourage it. And I’m glad they did. Studying abroad in France improved my French, learn more about French culture, and solidified a base of friends that I still keep in touch with. Heater McCoy would personally prep all the prospective study abroad students to ensure a smooth transition between the US and France. The faculty would even accompany you to France for the first few weeks. I decided to study abroad in Besançon during the summer of 2012! I got to live with a host family, meet people from around the world, live the life of a Frenchie for two months, and learn French at a great institution. The best part? The courses I took in France counted towards my French major back at Penn State. I could write a full article on my study abroad experience, so I’m not going to go into great depth here. But it was a top-notch experience and Penn State helped me make it a reality. If you’re considering that you want to study French – look towards Penn State. It’s a large Public University with a great reputation of research, distinguished faculty, and a vibrant student body. The school will set you back about $7,000/semester as an in-state student though – that’s the one negative. But almost everyone I know who graduated from Penn State have secured some great jobs and opportunities, so it’s worth it in the long run. Plus, you’re not locked into being a French major; there are more than 160 majors to choose from! You can double major in French or choose French as a minor.